I mean, I love Chi Alpha. But 100 reasons why is a lot. And despite this thoughtful and heartfelt introduction, I still have 450 words to use up. And then I remembered what I was thinking when I signed up for this blog topic. It’s less about 100 reasons I love Chi Alpha and more about 100 people that make Chi Alpha worth loving. Listing out all 100 people currently involved with reasons why they make Chi Alpha great may get a bit embarrassing and creepy. So I will refrain from doing that. And instead share a bit about these 100-ish people that make Chi Alpha what it is. And by 100, I mean 4. Because I’m on a deadline. But you get the idea. Forewarning- I did not ask these people in advance if I could talk about them. So if you are reading this, my bad. 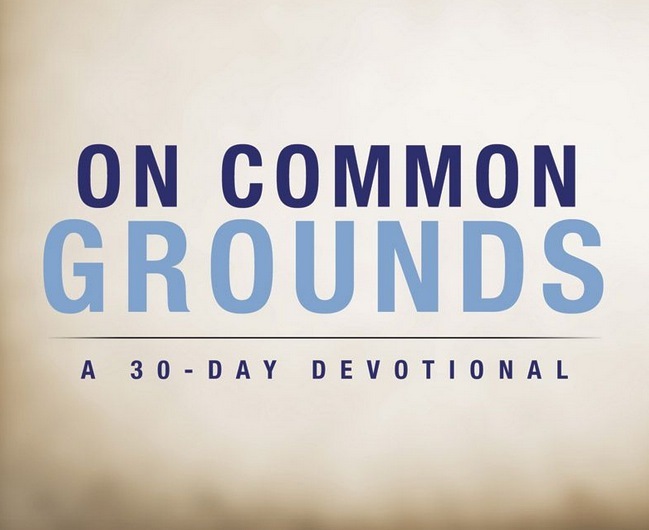 When we wrote our book On Common Grounds (available on amazon.com), Chris got to write the chapter on legacy. Chris, in addition to being one of the people there when I stopped by the welcome table my freshman year, was also one of the reasons I stayed in Chi Alpha. As a freshman brand new to the city, I was nervous I wouldn’t be able to find a church. Chris did something no one else did. He told me about the church he went to, but then offered to walk with me so I didn’t have to go alone. Chris wrote the chapter on legacy because that is what he left here. And even though he wouldn’t recognize any of the students still in Chi Alpha (all his peeps have graduated) new people keep coming because of the foundation he left. A lot of pastors have the opportunity to baptized people, but rarely do they have the privilege of baptizing the same person twice. Sandra was my first solo baptism and the ocean was being a bit unpredictable and long story short she may not have made it all the way under water the first attempt. And after a brief theological debate in my head and the comment “you had one job” verbalized, all parties involved decided we may as well attempt again just to be on the safe side. Sandra’s like my little sister and I would like to use this public platform to call her out on leaving for an entire semester to study abroad in South America. Lame Sandra. Lame. Okay, not really that lame. I’m just masking my pain. So we have this saying in Chi Alpha: give a year and pray about a lifetime. Sometimes rephrased as give a year and hope for the best. James is someone who modeled that well. He was the first guy to graduate from Georgetown and do the Chi Alpha internship. And he showed people that even if vocational ministry isn’t for you, there is immense value in investing a year of your life into the community that poured into you. I believe that while James was the first, he will definitely not be the last. So I know I went from 100 reasons down to 4 which is now 3, which is the amount of persons in the trinity, so I think this is a good place to wrap this blog up and call it a day. But if you ever come and visit (Wednesdays at 8pm), I assure you I can point out the other 97 reasons to you.